Tiny sensors for measuring the Earth's space weather environment have launched today attached to a South Korean satellite. 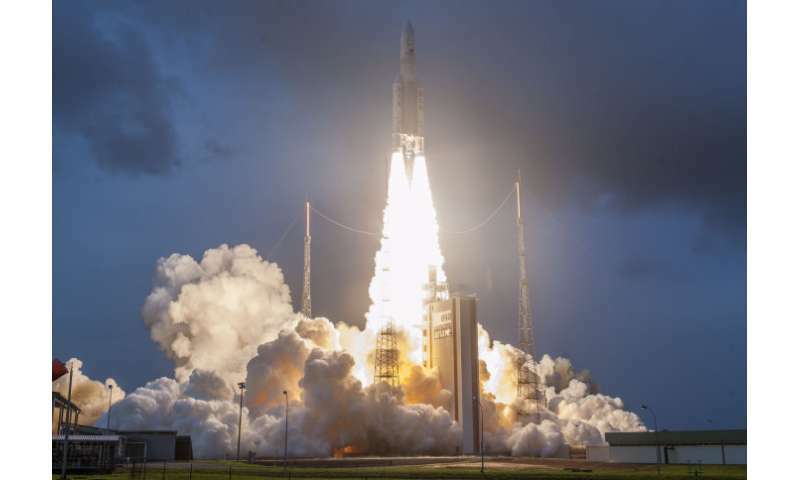 On top of its own ordinary weather-monitoring mission, the South Korean satellite has taken on a passenger from the European Space Agency (ESA), which includes sensors built at Imperial College London. The ESA kit, called the Service Oriented Spacecraft Magnetometer (SOSMAG), is designed to monitor space weather around Earth – the interaction between the solar wind and the Earth's protective magnetic bubble. Extreme space weather events, such as solar flares from the Sun, can cause disruption to satellites and affect power grids on Earth. Monitoring the Earth's space weather environment could enable scientists to detect these extreme celestial weather events before they reach the surface, giving critical time for preparation. The standard SOSMAG kit is designed to be mounted on a variety of different spacecraft, so ESA hopes more 'piggyback' missions on commercial spacecraft will follow. Dr. Jonathan Eastwood, who leads space weather research in the Department of Physics at Imperial, said: "Piggybacking on other flights enables us to distribute more instruments in more places surrounding the Earth. This will give us a fuller picture of the Earth's space weather environment than would be possible by launching separate, more expensive missions." Scientists from the Department of Physics at Imperial, along with colleagues in Austria and Germany, built tiny magnetometers the size of pound coins that weight less than 100g for the ESA kit. Magnetometers measure the magnetic field and any small changes in its behaviour, which is critical information for detecting space weather events. The team at Imperial has previously built more sophisticated magnetometers for larger space missions such as the Cassini Saturn spacecraft and the upcoming Jupiter icy moons explorer (JUICE), scheduled to launch in 2022. Those magnetometers required the rest of the spacecraft to be 'magnetically clean' – to produce no magnetic field of its own, no matter how small. 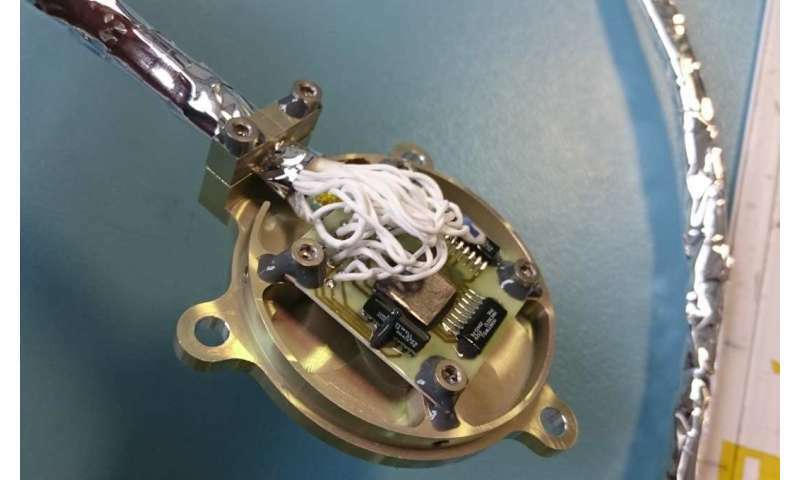 However, as they fly attached to commercial spacecraft, the smaller magnetometers in the ESA kit are not assured of a magnetically clean environment. Instead, for the first time the team will use multiple magnetometers of different types and sophisticated algorithms to compensate for the magnetic 'noise' created by the spacecraft. The sensors are linked to an electronics set that takes all the measurements and makes the necessary noise-removing calculations on board, creating an almost immediate signal of any space weather events. Senior Instrument Manager Patrick Brown, from the Department of Physics at Imperial, said: "This first launch is a proof of concept for the idea of a distributed sensor system – one that accounts for noise, rather than avoids it altogether. With the immediate processing of data, these systems could give fast warning of any potentially harmful events." Many sensor systems are needed to detect space weather events, as they can come from many directions, depending on the conditions at the Sun. 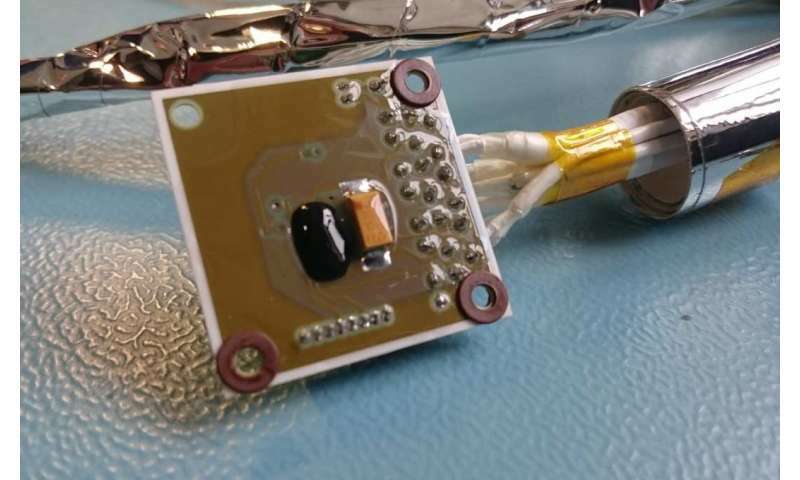 In future, these kinds of sensor systems could also be mounted on spacecraft as small as CubeSats, miniaturised satellites, giving more coverage of the space weather environment. The Imperial team is now building a new space weather magnetometer for the RADCUBE CubeSat which will launch in 2020. The Imperial team has licensed its 'magnetoresistive' magnetometer, and its work with ESA on the SOSMAG project marks a new type of industrial partnership, complementing the scientific collaborations that have been more usual up to now. Video: What is space weather?